Students seeking assistance in career searches, development of their résumé and cover letters, or practicing for an upcoming interview, will be warmly received at this TRIO/Student Support Services program. Field trips to local and regional career fairs are also sponsored by TRIO SSS. If you are looking to explore the opportunities available in a given field, our Career Library contains many resources to help you with your search. In addition to our library of reference materials and computer lab, participants receive one-on-one counseling and advice from the Career Services Manager to help them prepare a strategy for their job search. You can research majors, course work, requirements, assistantships and other items needed when selecting graduate programs and schools. A variety of graduate school exploration field trips will be sponsored by TRIO SSS. Assistance with on-line applications is also available. GRE prep support is available. Students interested in pursuing an advanced degree should make an appointment at their earliest convenience, as time sensitive deadlines may apply. To assist in the process of building a Resume, fill out the TRIO Resume Draft Information Form and bring the completed form with you to see TRIO staff. Leading online Career Management Tool that creates precise connections between individuals and opportunities. The world’s top financial services firms are currently using OneWire to hire candidates for open positions. Other career fields are in the process of being added to OneWire’s broad directory. Monster.com is an employment website that provides information on available jobs, resume help and assistance with other aspects of a job search such as interviewing advice, job search strategies and salary information. Career Builder is an all purpose employment and job search site that assists the user in developing a resume and also provides tips for job search strategies, as well as posted jobs. This is specifically created for college students and recent graduate students. This is both a job and internship site that allows job seekers to post their resume. This site has a search engine, providing job seekers easy access to numerous job openings across different states. For more convenience, job seekers can filter their job search by job type, area, industry, and type of career. The site also offers information and career advice. Currently, the number 1 entry-level job site as it provides job search service for college students and recently graduated students. It is probably the only entry-level job site that list down the Best in Class Employers, Top Intern Employers and Top Masters Employers. The site also offers job search advice and virtual career fair. Furthermore, it allows resume posting, and internships searching. A job site designed for providing entry-level job and career opportunities for college students, recent graduate students and graduates. It also displays part time and full time job listing. This site has more than 150,000 job postings from up to 27,000 employers. Due to its popularity, the site branched out into recruitment. It has insider reports on different companies and it allows job seekers to search through multiple criteria, including job categories, keywords, experience, location and date posted. The site also has email job matching service. A free career site, allowing job searching and online resume posting for users. It has features and career tools for job seekers to utilize. Job searches can be done by job categories, location, keywords and date posted. This site allows you to perform advanced searches including: multiple keywords, phrases, the radius from a city, or date posted. Job search site connected with TV 6, Marquette Michigan. Daily listings of job opportunities open to all job seekers. 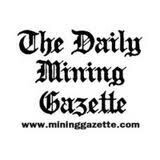 Job search site connected with the local newspaper, Daily Mining Gazette, published in Houghton, MI. discussion and careers. Job seekers can browse and search for the job they wanted and they can also post their resume.